Mastiha is born as a precious tear, dropping from the famed mastic trees found only on the Greek island of Chios. From ancient times, mastiha was renowned for its wondrous properties. Greek and Roman doctors praised its therapeutic powers, and it was widely used throughout the Aegean and Mediterranean seas in cosmetics, chewing gum, food and drink – and even as an aphrodisiac. Today, with its European Union Protected Designation of Origin (PDO) status, the reputation of this unique Greek product has spread throughout the world. With love and respect for the wonderful aroma of Chios Mastiha, which has had an almost mythical effect on people and cultures for centuries, we have created a drink from the future. Tradition, quality, unique flavour and aroma all blend harmoniously in a pioneering new product of modern design and elegant aesthetic. 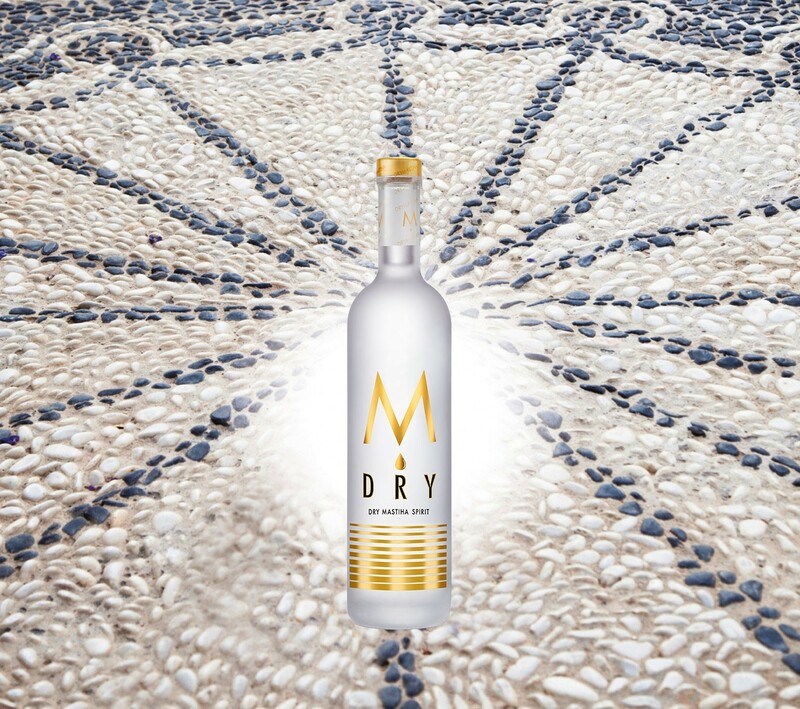 M DRY, the first dry Mastiha spirit, is a fresh offering and a bold new taste experience! A dry, powerful, clear extract with a subtly sweet taste and the delicate, beloved aroma of genuine Chios Mastiha. Rich and cool, it leaves a delightful aftertaste. Μ DRY, pure and 100% distilled, comes from authentic Chios Mastiha and is produced according to ancient tradition in copper stills to capture every ounce of the exceptional aroma and flavour of the island’s beloved Mastiha. Enjoyed ice-cold as a shot or drink, as a long drink or as a brilliant addition to a cocktail, it offers limitless possibilities for experimentation and the creation of original combinations. Live a fresh new Mastiha experience, and lift your spirits! Μ DRY is available in elegant packaging of 700 ml, 30% vol. Μ DRY is the first dry Mastiha that is not a liqueur. It is an innovative spirit which combines the exquisite aromas of Chios Mastiha with the sharp piquancy of a drink – a flavour subtly sweet and alluring. Try it!